Oslo/Paris, March 19 2018: Marlink has moved to larger premises in Houston, ensuring its ability to meet the growing needs of its Gulf of Mexico offshore industry and shipping customers. The new facility includes expanded office space to accommodate growth in sales and support functions at both Marlink and Telemar, in addition to a new warehouse facility to support even more responsive bridge and satcom equipment installation, and on board services. 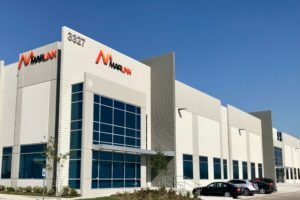 The new Houston location will continue to play an important role in the Marlink Group, supporting its Americas customers’ onsite, with full customer operations, sales support and technical training including Delivery, Field Services Engineers, Service Management and Program Management. The move, which was completed in February 2018, ensures that the Marlink Americas team is well-positioned to meet the changing needs of both maritime and enterprise companies in the region. With our increasing market growth and the fact that more Offshore Service Vessels are being re-activated for operations in the Gulf, our new premises are a key enabler for customers in the region, said Tony Queenan, Vice President Sales Americas, Marlink. Our larger offices and warehouse, position us as a vital resource for customers looking to overcome technical and operational challenges as the energy market starts its recovery. We are ready to meet growth in demand for satcom services that enable smarter digital operations and with Telemar at the same location, we have a broader value proposition to offer ship owners in the region. Customer proximity is a key differentiator in our approach to customer support, said Tore Morten Olsen, President Maritime, Marlink. As reflected in our new facility in Houston and the recent expansion in Tokyo, we are committed to continued investment in our local presence. Being on the ground where our customers are means we can deliver fast, effective services according to diverse requirements and ultimately, this ensures our customers can communicate and operate safely wherever they are. This new solution will reduce maintenance effort for shipping companies while the crew can stay qualified and up to date on the latest safe and efficient vessel operation practices. Offering distribution of training content ‘over the air’ will ensure the system is kept up-to-date with the latest e-learning modules and software versions according to the customer’s specific training requirements. Online distribution will also eliminate manual work and physical shipments, which will reduce cost for the ship operator. Currently the solution is running successfully on first pilot vessels. 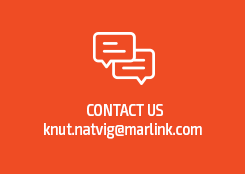 For further information, please contact Knut Natvig, +47 48 030 911.